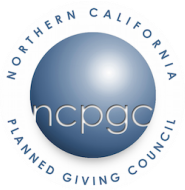 Launching a planned giving program? Feeling overwhelmed? You are not alone. Learn from the successes (and failures) of others in the same situation. Congratulations! You’ve just been notified that your organization is the beneficiary of an estate gift. Now what? Discover your rights as a charitable beneficiary so you can decide when to press and when to be patient in order to maximize the gift. Leverage your existing communications' picks and shovels to give way to planned giving gold. Strategies are designed for small shops and large institutions alike. Charitable Gift Annuities provide charitable solutions to donors’ taxing problems. Should you have a program or borrow one? Hear from experienced panelists how incorporating blended gifts can be a strategic approach to gift planning. It provides for collaboration both internally and externally and helps meet both donor and institutional objectives by creating partners in philanthropy. Learn how to create an effective online planned giving program, including effective methods to get donors engaged quickly and effectively. In this energetic session, you will learn why presentations are magical, how to get attendees to attend, and how to deliver a stellar performance. Learn effective strategies to cultivate and engage donors while working with limited resources, a small staff or volunteer board members. Learn about upcoming changes that will impact how financial results are reported and presented to your donors, foundations and your board members. This session will review the law of endowments, and then turn to current issues such as spending rates, releasing restrictions, and the changing accounting standards. Knowing the rules of the road for raising funds at your institution is critical to your success. Understanding good development guidelines can get you there. In this workshop you will learn some theories and tools on leadership that will help you if you aspire to a position of leadership or already are leading now. Have you ever had a gift solicitation in process, ready to close the gift only to have the donor say, "We are so excited! We opened a donor advised fund today!"? What does this development mean for you, the gift in play and your relationship with the donor? This program will guide fundraisers trying to successfully navigate use of this creative giving vehicle. Come get a quick CRT review followed by several case studies that describe creative ways to use a CRT to help donors make charitable gifts. A CRT may make perfect sense at the time it is established. But these irrevocable trusts can last for decades and many things can change over time, including a donor’s income requirements and philanthropic objectives, and it may be desirable to change the arrangement to fit changed circumstances (or simply to correct mistakes). We will explore alternative ways to terminate, accelerate and alter CRTs and the tax consequences of each alternative. Given recent and proposed changes in tax law, the need to carefully plan charitable gifts for optimal tax benefits is now more important than ever. Our plenary speaker will go into greater depth about innovative hybrid funds that can both directly meet mission and donors' need for recognition. Learn how families successfully engage multiple generations in giving and how their wealth managers, financial planners, CPAs, attorneys and other professional advisors can create lasting relationships with their clients and their families through charitable giving. Grief is a touchstone of humanity. And yet, few of us are comfortable with grief in others. This workshop will provide you with concrete tools for working with grievers compassionately and effectively.